Our primary concern is to meet your needs through caring and compassionate representation. We believe our job is to make the legal process less scary and overwhelming by advising you of your rights, your options, and then planning a course of attack. Our goal is to protect your interests while keeping you informed throughout your legal journey. The complex and important legal matters on which we work can have life-altering consequences. Our mission is to fight zealously for YOU every step of the way. We will be accessible to you to answer your questions, and communicate and strategize with you throughout our representation. We pride ourselves on our ability to think outside the box to find solutions that address your unique set of circumstances. Resolving your specific legal problems requires exploring every possible outcome and taking any extra steps necessary to ensure that we achieve the best results possible for you. One of the main reasons our previous clients recommend us to others is because of our diligence and persistence in advocating on their behalf. As residents of Anne Arundel County, Maryland, Windy and Joshua Ortega, are proud to represent its citizens. 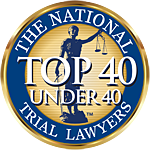 The attorneys at Ortega Law, however, practice well beyond the boundaries of Anne Arundel County. Ortega Law’s office is centrally located in Baltimore City so that we can service clients in Baltimore City, Anne Arundel, Baltimore, Howard, Harford, Montgomery, and Prince George counties. One thing we have learned over the years is that each jurisdiction is unique, and knowing these differences bears directly on the result in a case. It is imperative that you have an attorney who knows the ins-and-outs of the jurisdiction in which your case is heard. However, knowing the procedural differences is just the beginning. You need an attorney who has experience with the Judge or Magistrate hearing your case. A good working relationship with opposing counsel, whether it’s a prosecutor or private counsel, also goes a long way in getting a successful outcome in your case. The attorneys at Ortega Law, LLC have the experience you need to get the results you expect.